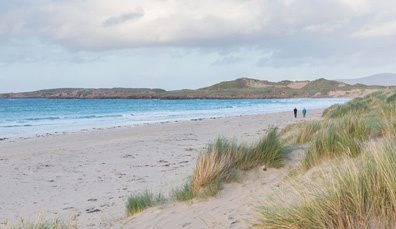 We've rounded up some of the wonderful accolades our lovely island has been awarded by the travel experts – just in time to plan your 2019 trip! Adare Manor in County Limerick was named "Hotel of the year 2018" by luxury travel network Virtuoso, making it one of the best hotels in the world right now. "Inside and out, Adare Manor has maintained her regal self and gracefully moved into the present." Ballyfin Demesne in County Laois has also been included in Travel + Leisure's 2018 World's Best list. Taking the second spot on their Top 100 Hotels in the World list, Travel + Leisure call it, "A world-class country house. It is, in a word, amazing." National Geographic Traveler loves Galway! Looks like Ireland's reputation as a delicious destination is alive and kicking! Ireland's 13 Michelin-starred restaurants retained their awards, but there are now three new kids on the block, too, and they're all in Cork! Ichigo Ichie in Cork city, Restaurant Chestnut in Ballydehob and Mews Restaurant in Baltimore have each been awarded a star for 2019, and draw on the very best ingredients from Ireland's exceptional larder. 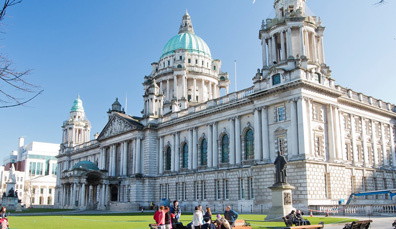 There's a good reason USA Today described Derry~Londonderry as the "best Halloween destination in the world": Northern Ireland's vibrant second city mixes Celtic traditions and modern ghoulish fun to perfection. Everyone dresses up, the celebrations are second to none and a carnival atmosphere infuses the streets. 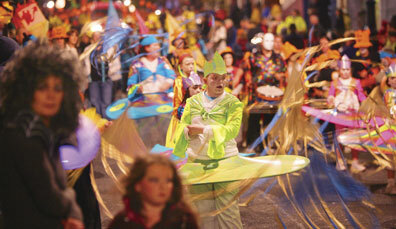 Tens of thousands of people descend on the city for the Derry Halloween festival — four days of festivities that includes the Releasing the Moon Carnival Parade, ghost tours and fireworks. Take it from us — this Walled City has it all! 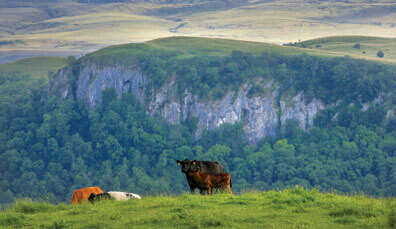 From the lush pastures of County Fermanagh to the buzzing restaurants of Belfast city, Northern Ireland tastes great. And now it's getting international recognition, as it has been named as the world's best food destination in 2018 by the World Travel Market! With a bounty of incredible ingredients, innovative creations and homegrown talent, Northern Ireland is taking the culinary world by storm. As the World Trade Market notes: "Northern Ireland is one of the most exciting food regions around." 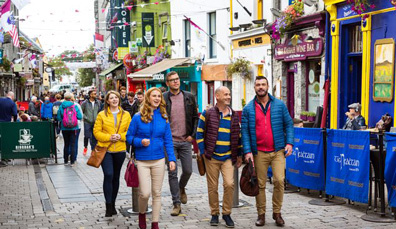 Great news — Ireland has made Condé Nast Traveler's 2018 Friendliest Cities in the World list three times, with Dublin, Cork and Galway all rated by readers for their hospitality and charm. Thinking of a city break this year? 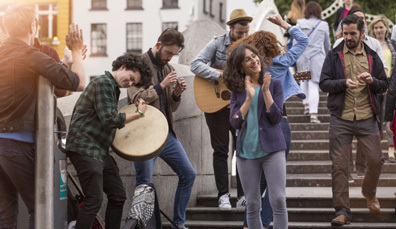 Why not try Cork, which is "bursting with cozy pubs and beer gardens", Galway with its "cobblestoned streets and ancient architecture", or the vibrant city of Dublin... "Great people, lots of activities, terrific nightlife. What's not to love?" We couldn't agree more. 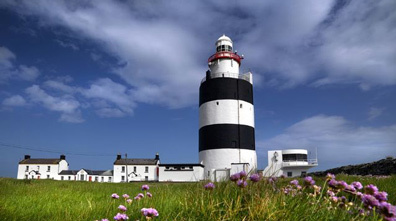 Hook Lighthouse in County Wexford, believed to be the oldest lighthouse in the world, has won the Best Tourism Project. The award recognises that the lighthouse is a “world class and unique” attraction to visit. The whole family and tourists would delight in a fascinating guided tour of the extensive history of the lighthouse, as well the breathtaking views from the top! 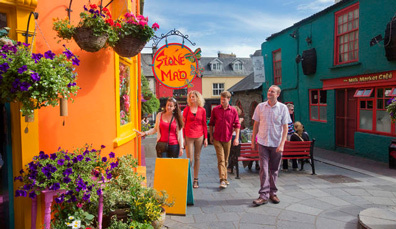 The travel bible has included rainbow-colored Kinsale in its tour through some of the most vivid getaways in Europe. According to Lonely Planet, "Ireland may be the Emerald Isle, but Kinsale in County Cork sure makes up for the rest of the rainbow, with lane upon lane of quaint Tudor cottages ablaze in vivid colors." We couldn't put it better ourselves! 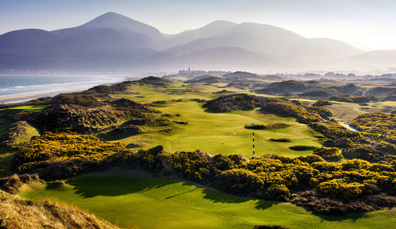 Golf Digest’s number one golf course on the planet is Royal County Down. The experts say: "On a clear spring day, with Dundrum Bay to the east, the Mountains of Mourne to the south and gorse-covered dunes in golden bloom, there is no lovelier place in golf than our new No. 1." Champion golfer, Rory McIlroy is a fan, too: "The more you play it, the more you recognise it for the class place it is." The Dispensary cottage in County Cork has been named as Ireland's best holiday home in the Sykes Gems awards! Cozy and quaint, the beautiful east Cork cottage is the ideal romantic retreat. The 19th century cottage is described as "an amazing place, it has everything you could ask for", and is set in the charming rural village of Inch, where you can while away the hours in beautiful rural tranquility. 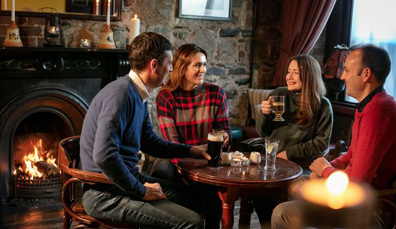 Lonely Planet has included the Tayto Park Driving School and Roe & Co Distillery among the best new experiences for 2019! Children can learn the rules of the road and earn their own driving license at the thrilling Tayto Park, while parents can indulge at the new distillery in the new year, and taste some delicious Irish whiskey. The distillery is also part of Lonely Planet's "Best in Travel", which details the top travel destinations and trends. The lovely people at Lonely Planet sure love Ireland this year, and for good reason! 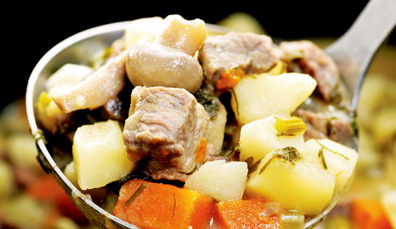 This time, they've rated the humble but delicious Irish stew in their top food experiences in the world. Wonderful to eat on a cold winter night, this hearty favorite warms the soul with every bite. As Lonely Planet states, "You can season the stew with salt but the flavor is best enhanced by eating it in one of those pubs with one of those pints of Guinness and friends." Gregans Castle in County Clare has claimed the Good Hotel's Guide favorite hotel spot for 2019! Situated in the beautiful Burren, the luxury retreat boasts views spanning the scenic Galway Bay. This luxurious hotel is described by the Good Hotel Guide as having "elegant, antique-filled interiors which gleam with modern art and fresh flowers". Good Hotel Guide were also particularly impressed by Head Chef Robbie McCauley's menu, inspired by the flavors of the Wild Atlantic Way. In 2018, UNESCO has granted special cultural status to Ireland's national sports of hurling and camogie. Dating back 2,000 years in Irish culture, hurling and camogie have long promoted health, inclusivity and team spirit, both across Ireland and overseas. The award "highlights the team spirit, skill excellence and creativity at the heart of Irish culture." Fancy trying a Gaelic Game yourself? 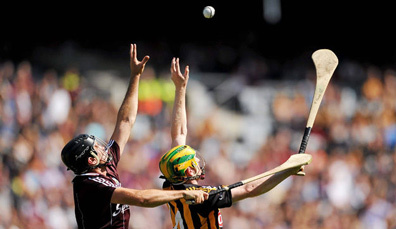 You can enjoy one of Ireland's unique sports with Experience Gaelic Games and The Kilkenny Way. Intricate pottery, a rich history and beautiful grounds... All reasons why Belleek Pottery Visitor Center has been awarded Tourist Attraction of the Year at the Northern Ireland Hospitality Awards 2018. One of Ireland's top five visitor attractions, and the oldest working pottery company on the island, you can explore the fascinating history of Belleek in the visitor center, before soaking up the atmosphere with a delightful round of afternoon tea. "You fly in low over the tiny airport building [...] with the perma-white frost of the Wild Atlantic Way lashing the many tiny rocky islands in a turquoise sea... Then the pilot dashes back towards the crescent of golden sand that is Carrickfin beach." These stunning views are just some of the reasons why Donegal Airport has been voted in the annual PrivateFly poll as the most scenic airport landing in the world. Last year the airport came in second but has now claimed the top spot. Flying has never felt so exciting! Condé Nast 2018 Readers' Choice Awards has included Dublin the Best Big Cities in the world. "The capital of Ireland is renowned for its medieval buildings, live music, stately churches, and of course Guinness. Underneath it all hums a modern heart." Visitors are rushing to experience the wonders of Ireland and spreading the word about the secret beauty and wonderful atmosphere of Dublin. Dublin has turned meeting people into an experience. Say hello to the City of a Thousand Welcomes! From farm to fork and sea to spoon, Northern Ireland's culinary treats give you a real taste of our delicious, fresh food. Ghosts, grand dynasties and gifts of the gab... Ireland's castles have plenty of tales to tell. Think of Ireland as a big little country. Or a little big country. 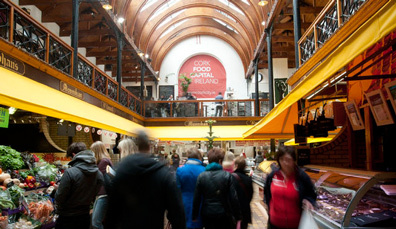 Fancy exploring Ireland's thriving food scene? 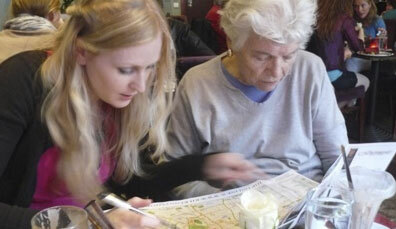 Here are some of the best food tours and trails. 7 ways to avoid queues and sample the unusual in Ireland. 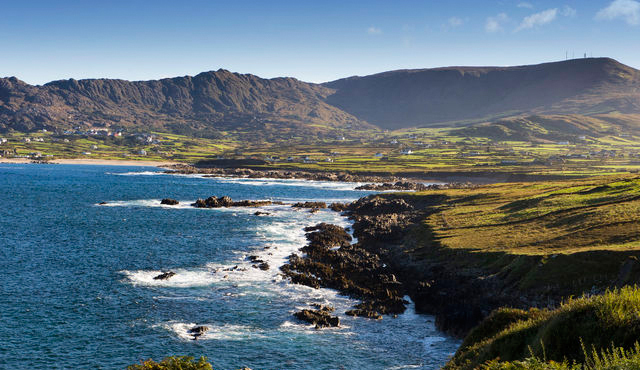 Ireland & UNESCO: a perfect pairing. Giants, sun worship and Norse royalty: Ireland’s UNESCO sites have stories to tell. It’s time to welcome in the bright, fresh days of spring – now is when Ireland really comes to life! Antrim’s Giant’s Causeway’s is a 60-million-year-old story of science. Or is it? Ladies and gentlemen, start your engines. Waterfalls, walks and wonderful food – this is the Wild Atlantic Way like you've never seen it before. These sunset shots of Ireland will be the bright spot of your day. In search of Ireland's dramatically-located lighthouses. A second instalment of beautiful pictures and facts from Ireland’s lighthouses. 5 road trips with an Irish twist! Invigorate your soul with seaweed baths, creative courses and some of the best coastal walks in Europe. Discover a host of hidden gems on this little island, from dazzling light shows to amazing architecture. Cycle up a mountain, set sail for a deserted island and forage for mussels - see the Surf Coast in a way you never expected. 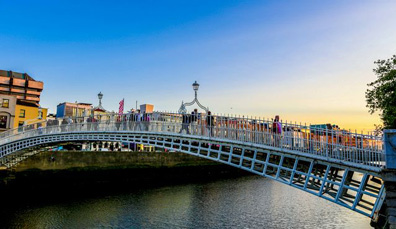 Lonely Planet declares Dublin Best in Travel! Going off the grid in Ireland. 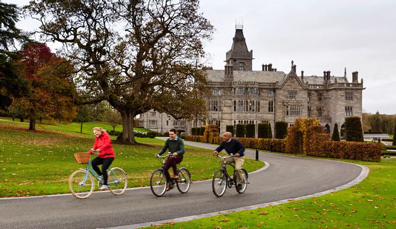 Essential information on your cycling adventure in Ireland, from bike rental, routes and trails to safety tips. 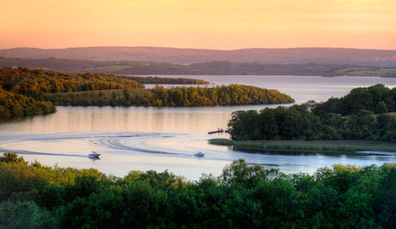 Clifftop marvels, glassy lakes and mystical landscapes: discover seven of Ireland's lesser known beauty spots! 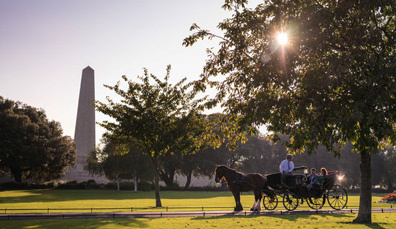 8-day Irish Elegance trip. Dublin, Killarney, Falway Bay and Cong. Includes a night at the luxurious Ashford Castle as well as VIP priority entrance to the Book of Kells with a University insider. 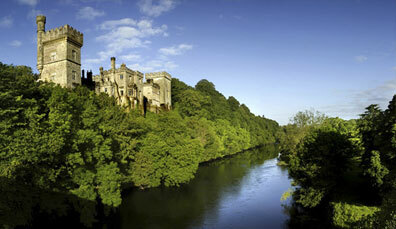 11-Day Escorted Railtour including 4-Star hotels and attractions. 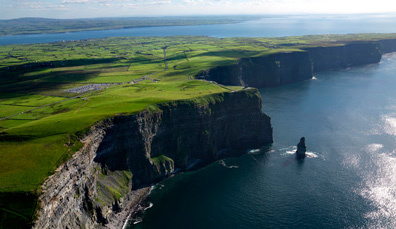 Visit Blarney Castle, Ring of Kerry, Cliffs of Moher, Connemara, Giants Causeway & more.